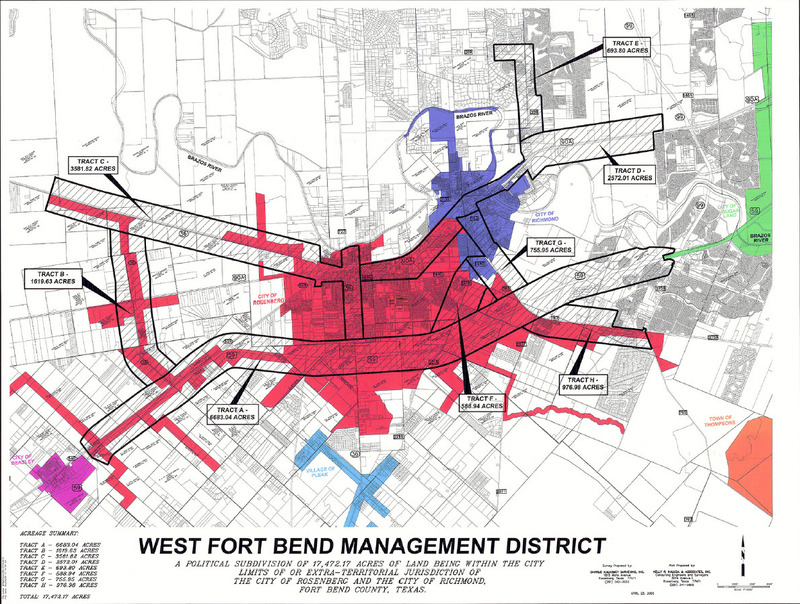 The West Fort Bend Management District was created in 2005 by the Texas Legislature. It is a unique district having boundaries that cover the major corridors into and within the cities of Richmond and Rosenberg. The primary purpose for the Management District is to develop West Fort Bend into an area that will attract positive business, residential and tourism growth through the creation of a strong district identity and improvement of the corridors and cities. To invest in the West Fort Bend Management District is to invest in the success of the West Fort Bend area. The majority of the District’s operating budget originates from contributions of the George Foundation, Henderson-Wessendorff Foundation and the Development Corporation of Richmond. The success of the organization truly rests in the efforts put forward by the hundreds of volunteer hours provided by members of our Board, the committees and consultants. The District welcomes donations of any kind whether they be indirect, financial or in-kind as they are valued resources to the operation of the organization. Additionally, the District is an official 501c3 organization.